350 people arrived to support a ban on horse-drawn carts. 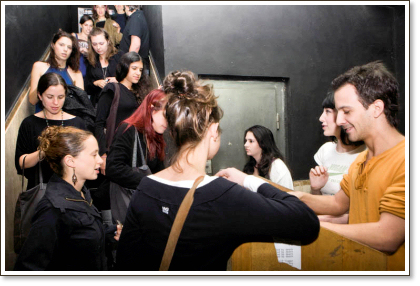 Approximately 350 people crowded into a popular Tel Aviv venue to show their support for Hakol Chai's campaign to ban the practice of horses pulling heavy loads through busy city traffic. Hakol Chai representative, Ikey Green, showed video footage and photos of the routine abuse of these animals, and spoke to the crowd about the daily horror of the lives. These gentle animals are underfed, overworked, beaten, not provided with veterinary care, forced to stand in the hot sun without shade or water for long hours, and made to wear ill-fitting harnesses that scrape away their skin and cause constant pain. When the summer open-air market season has ended, they are abandoned to starve. Israeli singers Asaf Amdurski, Ram Orion, and Billy Levi volunteered to perform at the well-attended event, which was part of Horses Without Carriages International, an international coalition of groups working to end the practice of using horses to pull vehicles. Similar protests were held in New York, Boston, Chicago, Philadelphia, Atlanta, Dublin, Rome, Florence, and Victoria, British Columbia. 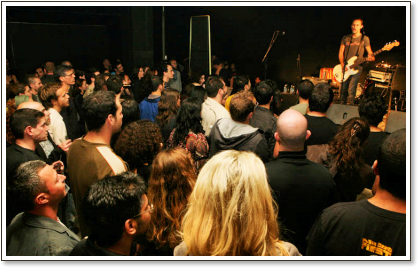 In Israel, Hakol Chai's event was featured in the country's major newspapers, Ma'ariv and Ha'aretz (both Hebrew and English editions), in the Tel Aviv newspaper Ha'ir, on popular websites connected with newspapers, in the magazine Timeout, and on several popular radio stations. The crowd expressed strong support for Hakol Chai's initiative and agreed to press the Mayor and the Transportation Ministry for a ban. 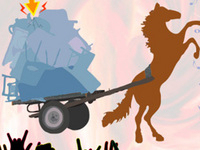 Three political parties in Tel Aviv now list a ban on cart horses in their platforms. Hakol Chai's representative also explained the cruelties of gambling on horse racing to the assembled supporters, and that race horses who were no longer fast enough could be sold into a downward spiral of abuse, ending up as cart horses. Supporters at the event signed a petition against gambling on horse racing coming to Israel. Hakol Chai was the first organization in Israel to expose the problem of horse abuse in Jaffa and to press the City Council to hold a hearing on the issue. At the hearing, the city's own municipal vet spoke in favor of Hakol Chai's requested ban, saying the city lacks the facilities, funds, and staff to investigate complaints, seize abused horses from their abusers, and care and house them over the long term. Most often, when a complaint results in an abused horse being seized, the horse is returned to his or her abuser the very next day. On Sunday, December 7th, 350 supporters joined Hakol Chai's rally to protest the use of donkeys and horses to pull heavy carts through busy Tel Aviv traffic. The event was publicized in Ma'ariv, Ha'aretz, Ha'ir, Timeout, on radio stations, and on various popular websites, including nrg and Nana. As you well know, city regulations have been ineffective in curtailing the daily abuse and neglect of these unfortunate animals. At the City Council meeting held on this subject at Hakol Chai's request, Tel Aviv's own municipal veterinarian admitted that the city lacks the staff, budget, and facilities to monitor the animals' condition and to seize, house, and treat those abused. It is common knowledge that even when a severely abused horse is seized, city officials return the animal to his or her abuser the very next day. In the 21st Century, this antiquated, cruel practice has no place In a modern city like Tel Aviv, which sets an example for other cities around the country. A ban on the use of these animals to pull carts in Tel Aviv would quickly be copied in other cities. This matter is of great importance not only to residents of Tel Aviv but to all those who feel compassion for animals worldwide. We urge you to acknowledge the increasing calls for a ban on horse- and donkey-drawn carts on city streets and would be happy to meet with you to discuss the specifics of implementing such a plan. Hakol Chai will continue to press the Mayor and the City Council until this abuse is stopped. Other cities in Israel will follow the lead of Tel Aviv. Please support our efforts to end the abuse of these gentle animals. You can help by writing to officials in Israel to press for a ban. How Much Can a Van Cost?